is located at 768 5th Avenue in Midtown Manhattan and was completed in 1907. This building was designed by Warren & Wetmore Architects and Henry J. Hardenbergh and stands 252 feet tall with 18 floors. The Plaza has been converted into condominiums with 150 hotel rooms still available, much less than its 805 hotel rooms a few years ago. 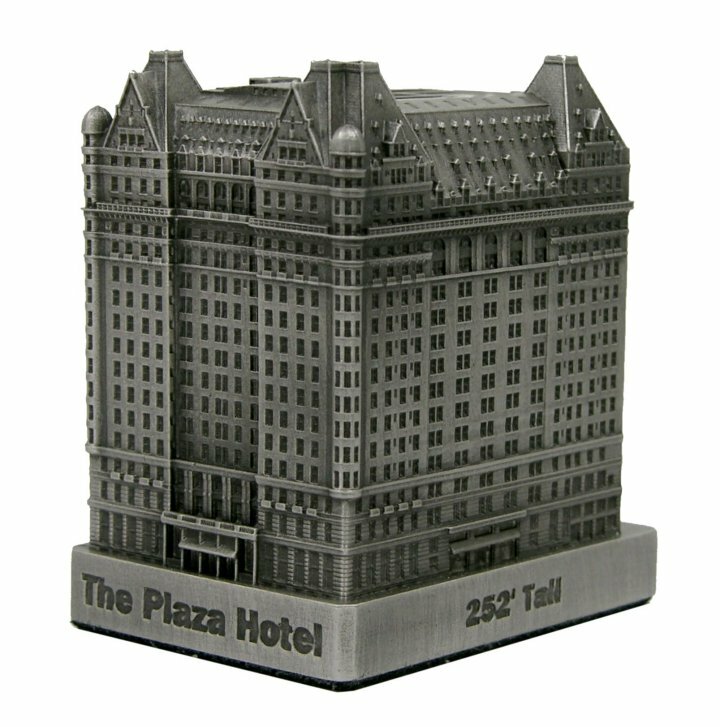 This pewter replica stands 3-1/8” tall at 1” = 100 feet. It is finished in antique pewter.